Dramatic voices heard in the distance, but still so close. Beats come crashing down upon you. There’s nowhere to hide and a sense of urgency is mediated through roaring melodies. Geometry Combat is a new project — and the architect who creates the schematic (sound-scape) — is rather anonymous. He’s managed to shackle the visionary and at the same time dystopic, landscape with an overtone of dark electronica, where minimal synth and electronic body music form the launching-pad on which he sets the rhythm and melody — prepare for take-off. From the diluted perspective that “Killing Movement” convey, to the straight-forwardness of “Darkest Sins“, up until the nearly wholly industrialized sound of “Body Hammer” — make him a master of contrasts — even though most of his music seem to be shaped from the same genres. We’re able to give you a foretaste of what’s to come. His only releases so far are three songs equally as diverse, but in two weeks a debut-album will be released. So we came up with a great idea for those of you who might enjoy a sound like this, and for those of you who haven’t yet heard of this project — the ability to stream an exclusive track from the forthcoming release. It’s called “Deadly Armour Ceremony” and holds an even more militaristic stance musically then any other track. The post-apocalyptic scenario is fully embedded, but you don’t really know if you’re in the middle of it or if it’s still pre-, or post-. A great deal of confusion is delivered amidst emotionally provocative melodies that wrench out the most of you — with force, whether you approve of it or not. You have a virtual barrage of artillery, machine-gun fire and everything you could think of, coming at you — full-force. Stream the exclusive track down below and listen to his current tracks up above. 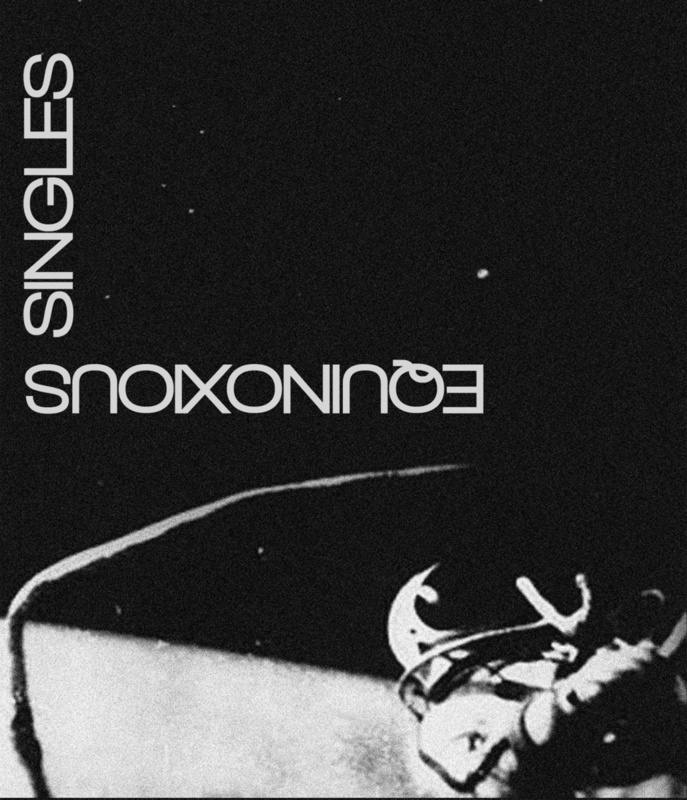 For some time now Equinoxious have been releasing single after single – finally compiling everything into a triple-single. It’s been a while since his E.P. “Astros Prometidos” was released, a year ago. Then it was re-released on the Valencian label SINCRONICA in April this year. But then singles showed up roughly two months ago, hinting that his forthcoming album “Cosmódromo” was due to be released, on the aforementioned label. These three singles are titled “Astrónomo Insumiso“, “Cosmódromo (ft. Kriistal Ann)“, and “Σ“. I haven’t really been following this Mexican artist more then when one of his tracks were featured on a compilation not too long ago. That seems to have been a greater mistake then what I ever could have anticipated. His music is really something which connects the otherwise blurry dots between minimal synth and synth-pop. Often times the minimalism takes a greater toll on the sound then it should, in my opinion. It becomes bleaker then intended and carries nothing much of weigth. Equinoxious manage to find a balance in the contrast between minimalism and the otherwise glamorous synth-pop sound – by relying on catchy, primitive and repetetive beats – intermixed with a clever and complex rhythmic pattern that have the ability to change – rapidly. Another thing which hasn’t gone unnoticed is how many within minimal synth, cold wave, darkwave and other similar sub-genres collaborate more then usual. Just see how Paradox Obscur’s own Kriistal Ann is featured on one of the single-tracks featured both in this foretaste and also in the forthcoming album by Equinoxious. You don’t have to go far when you’d want to see a collaboration, just check earlier releases by other artists in nearby genres; Roladex and ((PRESSURES)), Xiu and Cold Colors, Larissa Iceglass from Lebanon Hanover on the forthcoming Selofan-release, and many more. It doesn’t just have to be split-releases but it can also be collaborations. I hope to see even more of that in the future, to say the least many of them have been surprising and others not as surprising. So now when SINCRONICA will be releasing Equinoxious new album, you’ll unfortunately have to wait until 2015 for the end result. I hope there’ll be more collaborations on the release instead of just one, but I can right now only hope for that to show up next year. I suggest that when you’re patiently waiting, stream the “Singles” down below. In this Spotlight we give heed to newly arisen compilations. Out from the dusk and dawn comes the White Circles Compilation – a celebratory gesture by aufnahme + wiedergabe – for the first anniversary of White Circles, a club in Leipzig with resident-DJ’s Kevin Bigo, Ralph and aehm. So it was really written in stone that the residents were those who should compile the music. With their club they specialize in the colder and more melodic sub-genres of electronica, but they’re not limited to a certain kind of genre. Conceptually they feature live gigs by local and international acts, continual rotation of guest DJ’s, and co-operation with the different themed club-nights and labels – including special events. Their first event was held on the 8th of November, it featured Automelodi as the evening’s live-act, in-house DJ’s Ralph and Kevin Bigo, together with their first guest DJane Coco Darlin (DisTanz). 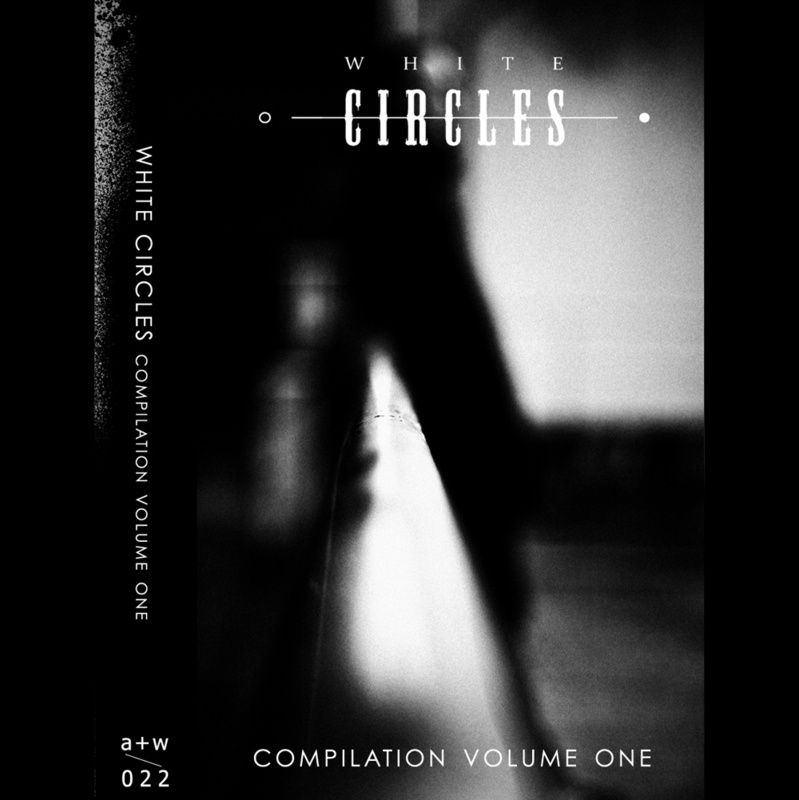 A year later a compilation was formed in advance for the first anniversary of White Circles. The release was held yesterday on the 15th of November, featuring live-acts such as the legendary Clock DVA alongside the fresh blood that is Phase Fatale. Their guest-DJ was :dark sounds:. Roughly at the same time, but maybe a little bit earlier, the Not So Cold-compilation was showcased for digital streaming on the Tacuara Records bandcamp-page. 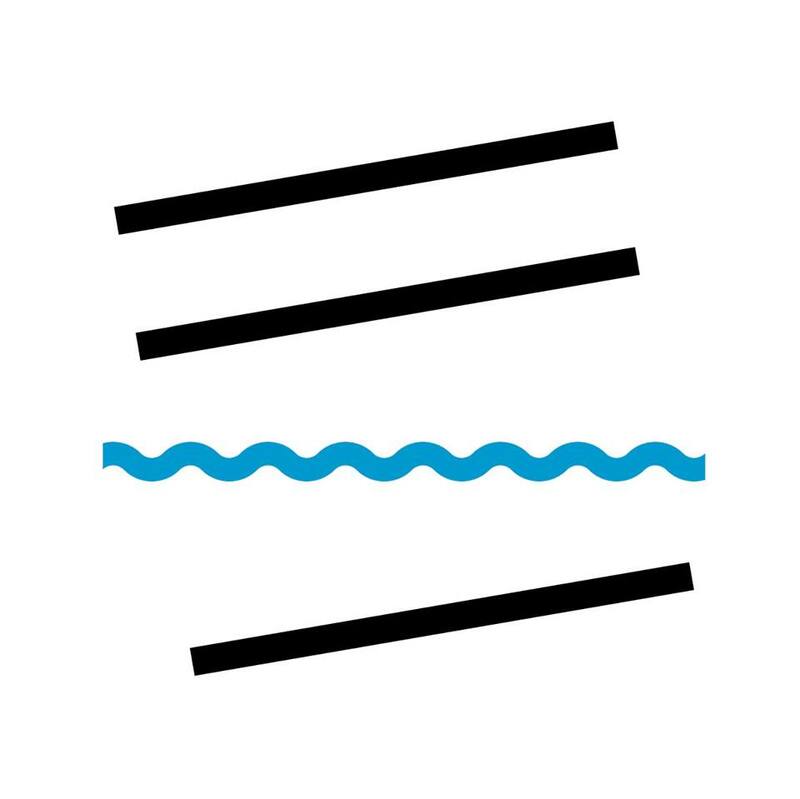 They call it “A Warm Wave Compilation” – maybe to consolidate support from our frozen friends in the North – or simply a referencing the supposed warm climate of Argentina and Perú. It’s a joint release signed Tacuara Records and Cintas Triangulares. One of the creators is César Canali who also runs the aforementioned label where the compilation is currently hosted, whilst Cesar Aguirre runs the Peruvian-based label Cintas Triangulares. The wonderfully slick cover have been photographed Rui Luz, Photo Digital Art, worked into artwork by Rafael Esteche, and the mastering have been done by Pablo Zumarraga. 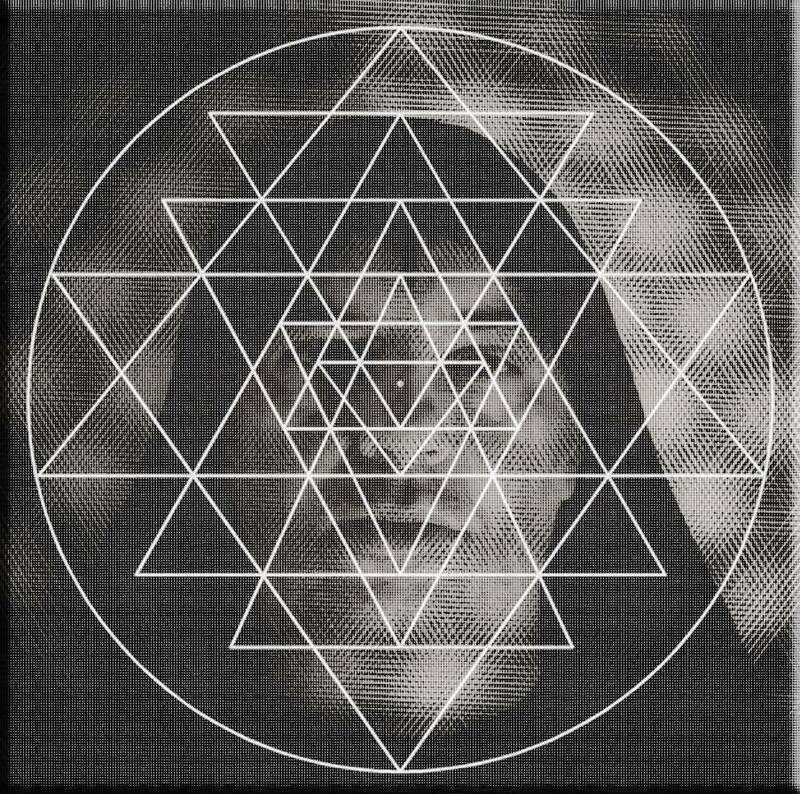 When it comes down to business, the aufnahme + wiedergabe and White Circles curated compilation “White Circles Compilation“, starts off with Azar Swan – whose music I am most unfamiliar to – having listened only to individual songs before. But the bombastic drums together with her assuring voice make for a line between popular music and the darker movements of dark-wave that is an underlying theme. I’m not particularly fond of the style of singing which she applies to this song, which is called “Foreign“, but when the chorus hits off it’s impossible not to dig the complexity of the moving patterns of music – where you’re saved by the gong-gong (in this case, the bridge; that fires off the chorus). After that, Cocktail Twins deliver hard-as-nails but emotional post-punk with cold-wave overtones, with their song “Rooms Made of Dust“. I really enjoy the sound of a hammer onto a bolt, together with the apathy of the singer. It creates such a distance between the warmth of sincere and calm emotions, with the scraping of nails on the chalkboard – if you get what I mean. The paradoxical sameness that harsher and more straight-forward emotions contribute with, in comparison with the soft-spokenness of true emotions that border on love. There’s a hate-and-love relationship in the deliverance of the lyrics but also when it comes to the music. I believe this synergy creates such a complex atmosphere – as well as the percussion drums up a sea of emotion. Then comes one of my favorite names from the aufnahme + wiedergabe, but not as I remember them. Velvet Condom used to be more electronic and less minimalistic, but I like their sincere vocals which are shrouded beneath a layer of something sweet. There’s a certain kind of innocence they deliver with such a name as “Self Injury” – which in itself is a hardship and not a joking matter. But I think there’s a paradox between the sweet sound and the topic which they’re ventilating through harsh post-punk rhythms and a steady melody conjured with a synthesizer. There’s a certain indifference to the tone of the singer which is enhanced when paired to the instruments. They’ve given up and they’re just stating a fact. It might seem brutal at the first glance – but what I’m seeing is a form of acceptance. It’s just how it is, I’ll live with it. The more I think about it the more I stray away from the lyrical content – in turn I am drifting away into total gloominess. 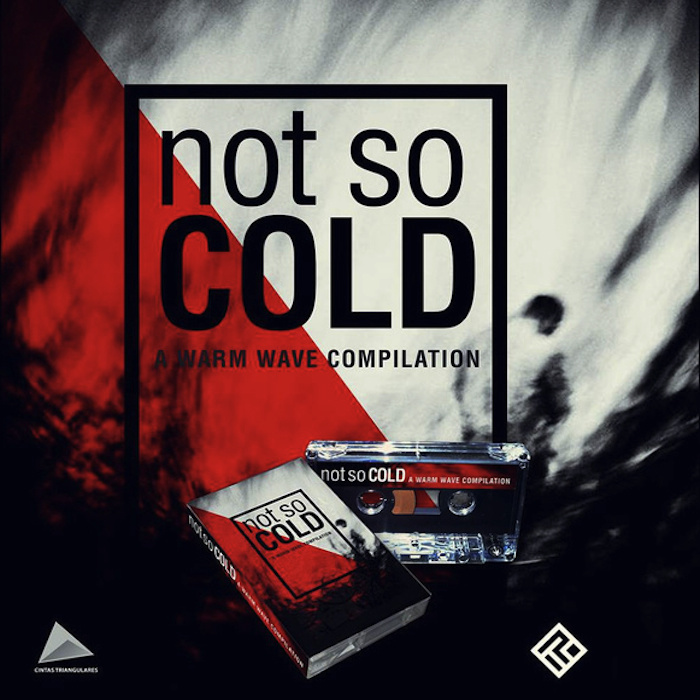 For a change, I decide to turn on the Not So Cold “A Warm Wave Compilation”. Where I’m immidietly hooked into everything by Hante – the solo-project of Minuit Machine’s own Hélène De Thoury. The project doesn’t differ that much from the duo, but there’s a certain fluidness of the sound-scape which flows more into ambient territory. There’s not a strictness that can be felt with the main project which she has with Amandine Stioui – who’s also the singer when it comes to Minuit Machine. It’s also great to hear a different voice and a more playful tone when everything comes around, even though most of it is deadpan. Hear as it slowly transgresses from a full-on assault of synthesizers until it tones down and dies out in the abyss. Most of the track feels existential even though “Falling from grace” suggests otherwise. Sure, there’s a certain existentialism embedded into the bits and pieces of the track and the title alone, but it feels like a settlement between an imagined ego and reality knocking on heaven’s door. But I don’t really want to find it out – I’d rather speculate. Since I had to skip YusYus because of an error probably created by Bandcamp itself, making the track entirely silent and only playable for four seconds – I move into Jenny Eve & Dan Söderquist (Twice A Man). Their track “Immersion” (taken from “The Monastery“) seems francophilic at a first glance, but then an ethnic vibe is leading you through the monastery. There’s much more to a title than what anyone could suggest. An invitation, an extended hand which guides you through and lets you follow them into a certain mood – fulfilment seems to be their goal. The good thing about all this is how it’s obvious what the meaning of everything is, but it is open for interpretation. Because when you get so certain of something, you generally refuse to see anything else then what is told. Who knows, maybe it’s not an invitation at all but rather a poisonous substance for your mind – delivered with sincere and beautiful music, whispered into your ear just so you believe it to be the other way around. I don’t know, but their sound is magnificent and intriguing to say the least – relaxing, a relaxation from the electronica that have flowed through already. Now we’re up for something really exciting. I’ve just heard their name and listened to some of their songs, but now it’s allvar (severity) for Alvar. This Swedish duo touch upon the same bizarre no-go zone that Celldöd enters when he blends the most primitive, with the most complex music. I don’t know if this is industrial and electronic body music interpreted in a practical way, or if it’s simply theoretical and primitive at the same time with the track “The very witching time of night“. We’re however taken into the industries directly, wheezing pipes and knocking on tin – sampling morbid historical content, by reciting older criminal cases from Swedish criminal history. But the thing is that I don’t even know if it’s for real or not. It all seems like a dream to me and when the chaos erupts its difficult to wake up from this nightmare. They’ve really outdone themselves with the percussion and the wrecked noises that form an almost undanceable body-beat. This is how it was supposed to be done, so it’s a good thing that someone is finally taking it seriously. This is Alvar – uncompromising and stripped from every form of conscience, strictly based on factual happenings. Cold and harsh, fair and just – or is it an illusion? Here ends Part I. There will be a follow-up for the rest of the songs. Wait until Part II.